Enjoy the radiant colours of spring when you visit Nuwara Eliya on a bespoke holiday in Sri Lanka in the coming months. Situated in the mountainous Central Province of Sri Lanka, Nuwara Eliya is a tableland perched at a height of a little over 6,000 feet. 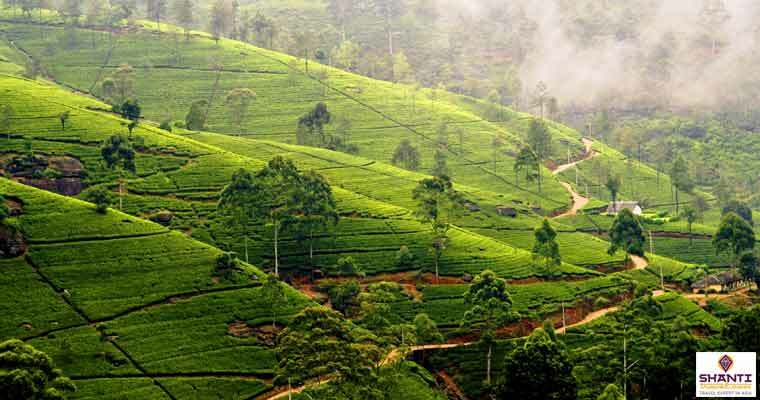 It is not commonly known that Nuwara Eliya, literally meaning ‘City of Lights’, was the favourite destination of the earliest British planters that came to India in the colonial era. The hilly city is in fact locally christened ‘Little England‘ for its grand colonial architecture, temperate vegetation and cool British country feel. While it remains blanketed in a cold, rainy mist from November to February, come April the town breaks out in sunny weather, myriad colours and thousands of visitors enjoying their spring holiday in Sri Lanka. Wake up early one morning and take a short bus ride to the Hakgala Botanical Gardens, a few kilometres southeast on the Nuwara Eliya-Badulla main road. Hindu legend has it that the demon king Ravana abducted Lord Rama’s wife Sita and brought her back to Lanka. He kept her hidden in this region, letting this garden (then called Ashok Vatika) serve as her retreat. During the spring season, Hakgala gardens will be covered in thousands of multi-coloured blooms and the air fragrant with the smell of roses. 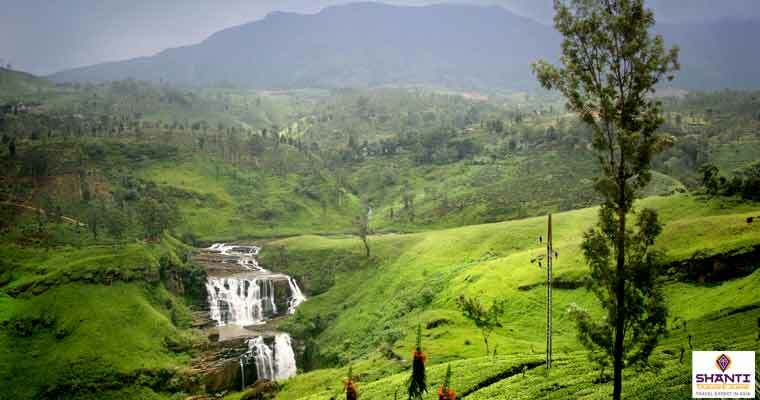 Discover the striking beauty of Sri Lanka by visiting the many natural heritage spots in Nuwara Eliya. Victoria Park is a spectacularly landscaped park right in the vicinity of the city centre. It is an urban oasis, great for bird-watching and for taking in the sights and sounds of nature in the morning before the city awakes. You could also spend an hour or two at Lake Gregory, boating peacefully on the lake’s placid surface. The sights around the lake are picturesque and well worth being included in your itinerary on a holiday in Sri Lanka. Half a day must be reserved to visit the Horton Plains National Park, which is located some 32 kilometres out of Nuwara Eliya and takes 45 minutes drive to reach. 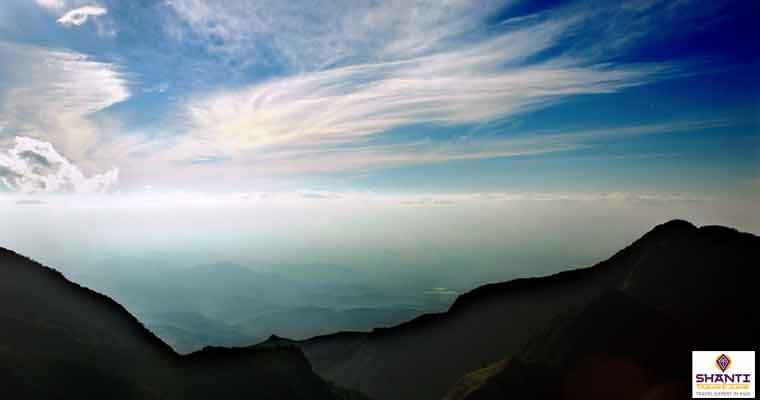 Tour groups usually set out of Nuwara Eliya before dawn so as to witness the breathtaking sunrise at the national park. It is a high-altitude grassland rich in flora and fauna. The Sri Lankan Sambhar Deer can be found in great numbers in the montane forests that intersperse the grassland. The most important tourist attraction in the Horton Plains is World’s End – an isolated cliff with a sheer drop of over 1,000 metres. About a kilometre from here is the Lesser World’s End with a drop of 300 metres. The view from the cliffs is exquisite. Also within the national park are the 20 metre-high Baker’s Falls, named after Sir Samuel Baker, a famous British explorer who established the first agricultural settlement at Nuwara Eliya in 1846 and is also said to have discovered Lake Albert in Africa. You can pack a hamper and enjoy a picnic relaxing amidst wild ferns and rhododendron bushes near the falls. The entire trek in and around the park covers about 9 kilometres, so it is better to wear good walking shoes and be prepared to walk. It is also to be kept in mind that Sri Lanka is a very clean country and they encourage tourists to be responsible as well. Entering the Horton Plains bearing matches, cigarettes or lighters is therefore strictly prohibited, as is the use of plastic bags. While in that neighbourhood, you could also drop by at the quaint little Ambewala Farms to rejuvenate while watching farm animals ruminate in their natural surroundings. On a holiday in Sri Lanka, there are great photo ops to be found at every turn. It goes without saying that on a holiday in Sri Lanka, one will naturally be surrounded by tea plantations and factories everywhere. Pay a visit to one of the tea estates and watch the local tea pickers at work; you will gain a whole new level of respect for the process that culminates every morning with the cuppa in your hands. 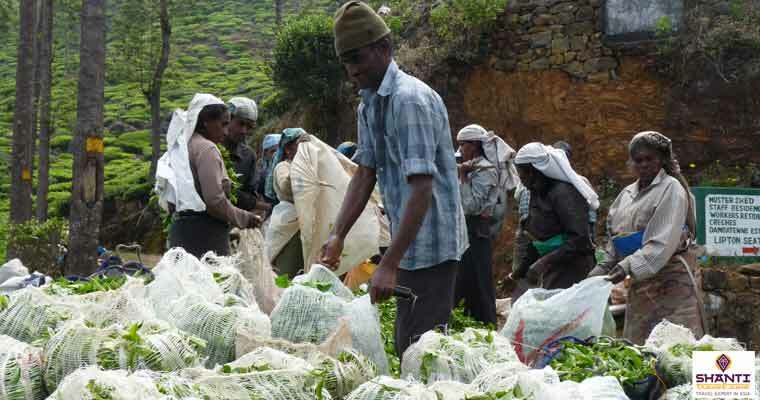 Embark on a tour of one of the tea factories to learn how tea is picked, dried and packed. End the tour with a complimentary cup of the world famous Sri Lankan tea and buy some too if you’d like to surprise your loved ones back home. For the adventurous at heart, a hike up to the top of the nearby Lover’s Leap waterfalls can be a wonderful experience, as is walking back all the way to town passing by the charming countryside. For a very English experience, head over to the city’s well-known golf course and try your hand at this elite game. The golf course stretches across the entire length of Nuwara Eliya and you can see the players practising on the sprawling greens while you stroll around the city. Another leftover colonial tradition can be relived at the Nuwara Eliya race courses that are considered the best in all of Sri Lanka. Races are on throughout the month of April and are an exhilarating event to behold. However irrespective of what you do and where you go, the laid-back feel and unassuming beauty of Nuwara Eliya is bound to strike a chord in your heart, bringing you back again to this hill country on another bespoke holiday in Sri Lanka.